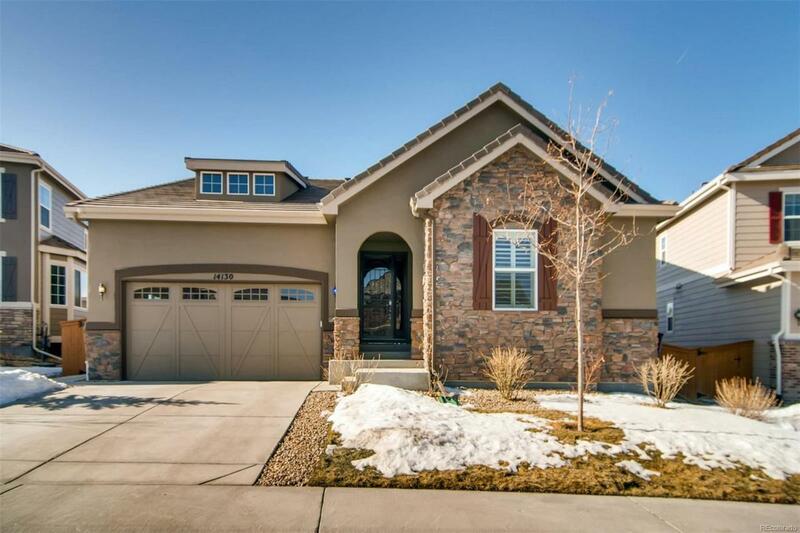 Spectacular 5 bed 3 bath ranch home in Stepping Stone within walking distance and view of park, pool and clubhouse! 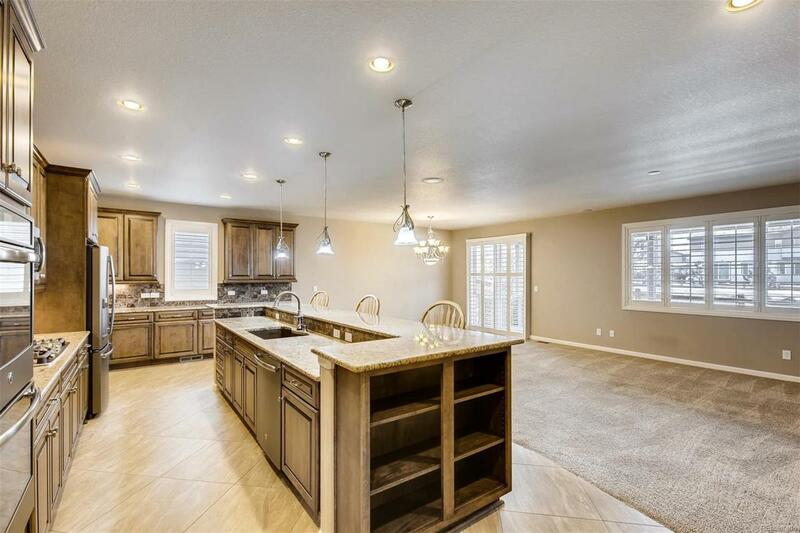 Elegant kitchen upgrades include tumble marble back-splash, granite counter tops, large island seats 5 with sink and touch faucet, self closing cabinets/drawers, slate gray smudge-proof GE appliances, gas stove top and massive 11' X 7' pantry! 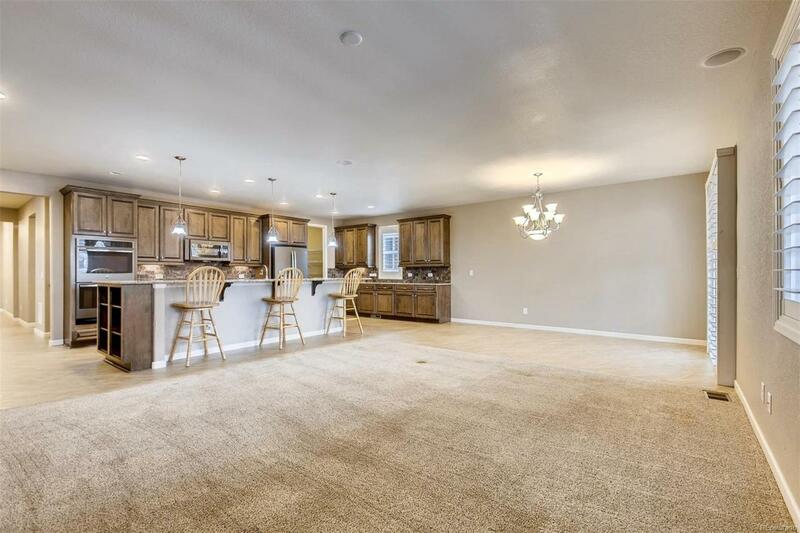 Kitchen adjacent to family room with surround sound and gas log fireplace. Plantation shutters throughout main level. Spacious office has built in shelving. Sliding barn door access to master bedroom with bay window, recessed ceiling and 5-piece bathroom with jetted tub. Enter mudroom with bench seating from the garage. Laundry room w/sink and cabinets. 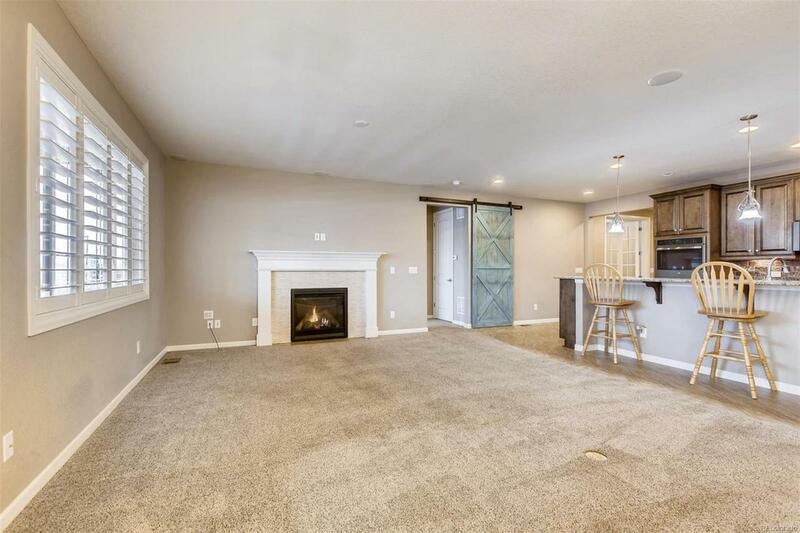 Finished basement includes huge family room, 2 conforming bedrooms, 3/4 bath and covered window wells. Professionally landscaped back yard with sprinkler system and dog run. Stunning mountain view from the covered back patio lined with beautiful stone wall and gas line for your BBQ!